NES Bionic Commando (USA) in 13:25.22 by nEilfox. 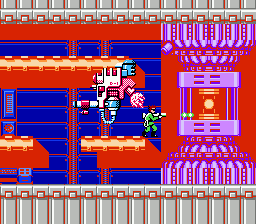 Author nEilfox's first contribution to Bionic Commando features inhumanly fast grappling and swinging. This run is an improvement of 2.72 seconds over the previous run due to better optimization. For more swinging goodness, check out these runs of the Game Boy and arcade versions.